CIS ardently believes in assimilating a strong value system, skills along with focusing on academic excellence of students thus preparing them to succeed in 21st century. 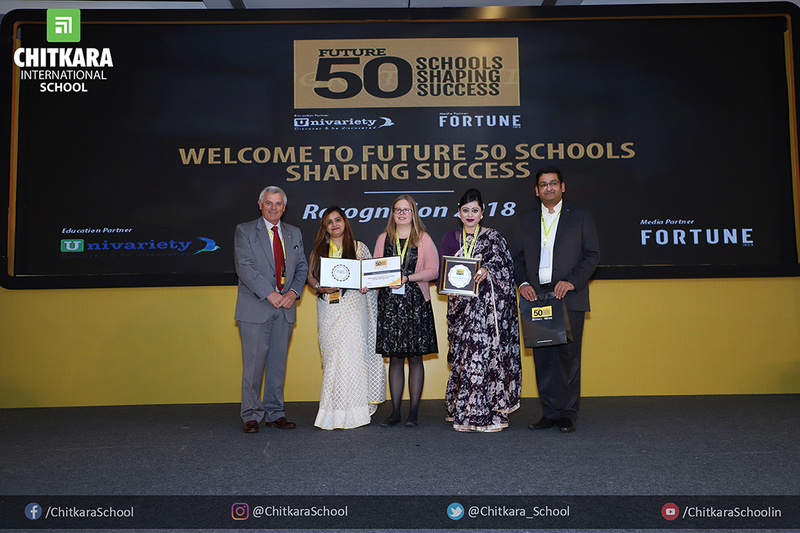 It is in recognition of this exemplary effort of our institution, the school was facilitated among Future 50 Schools Shaping Success. This premium 21st-century certification was bestowed for exemplary National curriculum 2018. The evaluation process demanded insights into activities and efforts done in ensuring student success, intellectual stimulation, student results and achievements, intercultural learning, leadership opportunity etc. Most of all the analysis also included perceptions of school activities by teachers and students. It is a moment of great pride and honour for the students, staff and stakeholders of the school. Amidst all this is a bed rock for many more achievements in future.